I went into our Vermont trip expecting to bring home maple syrup. 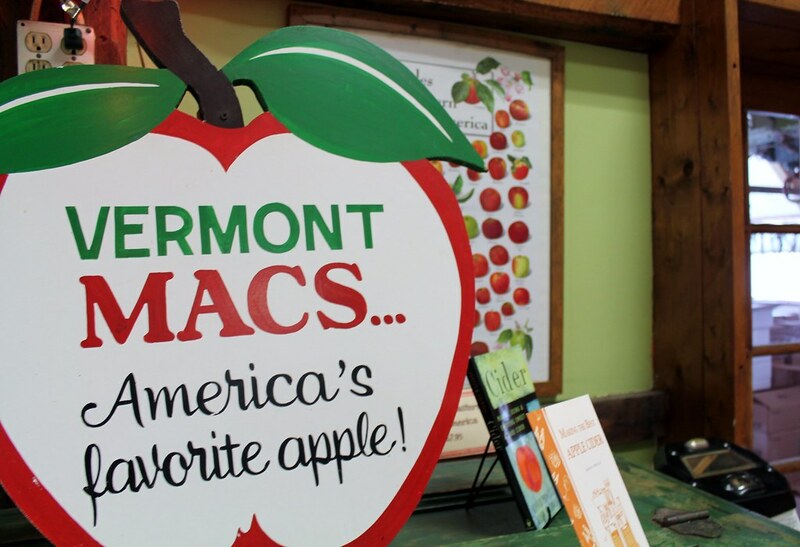 We were in Vermont, a state whose name is synonymous with syrup. I even joked that we should purchase maple syrup at every location we encountered that sold their own bottles of the stuff. However, if you have ever purchased maple syrup, you know how pricey it can get. It is liquid gold, after all. *I have a very unfortunate story of another location we attempted to purchase maple syrup from, but I will save that for another time. 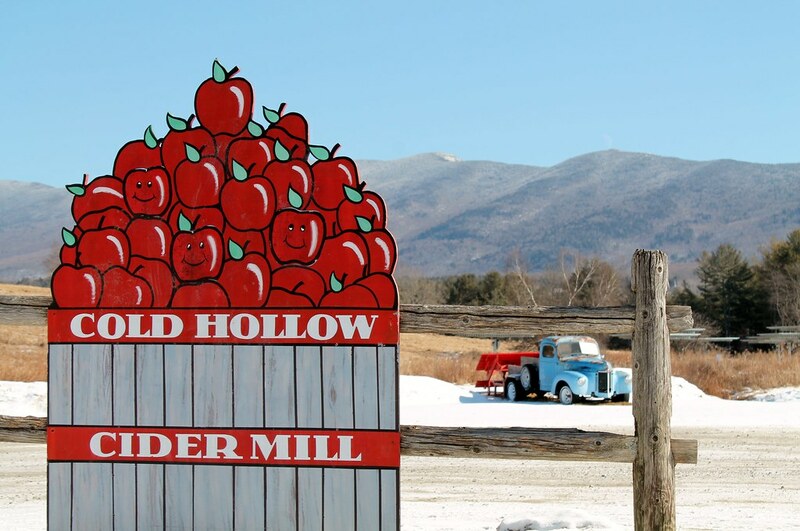 From the name, I expected Cold Hollow Cider Mill to be specifically apple item related. 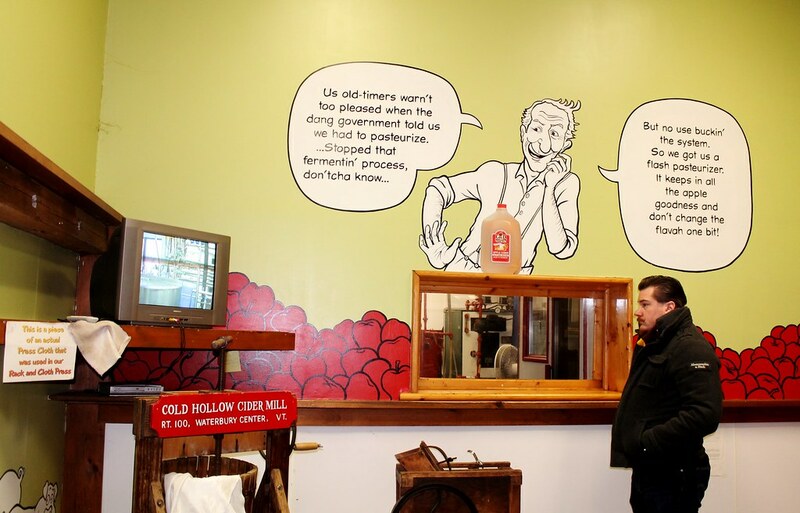 In fact, we only decided to go there because another location that made its own hard cider was closed. Therefore, our intent was not at all to purchase maple syrup. But, this is Vermont and one thing I have learned from only a few short days there is that maple syrup is made and sold nearly everywhere. 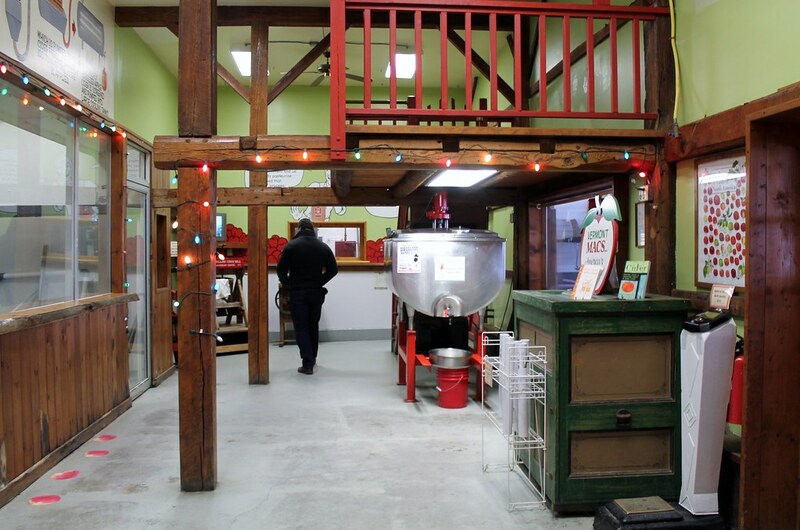 Though the emphasis of Cold Hollow Cider Mill is their apples, with warm cider donuts being served at the front of the store and free cider samples at the back, they were similar to any corner farm found in Jersey, with a wide variety of local offerings spread throughout a rather unexpectedly large store front. This included an entire display, at least twenty-feet long, of syrups and syrup products. The above dispenser was topped off with cold fresh apple cider and I might have had one, two, or ten servings. 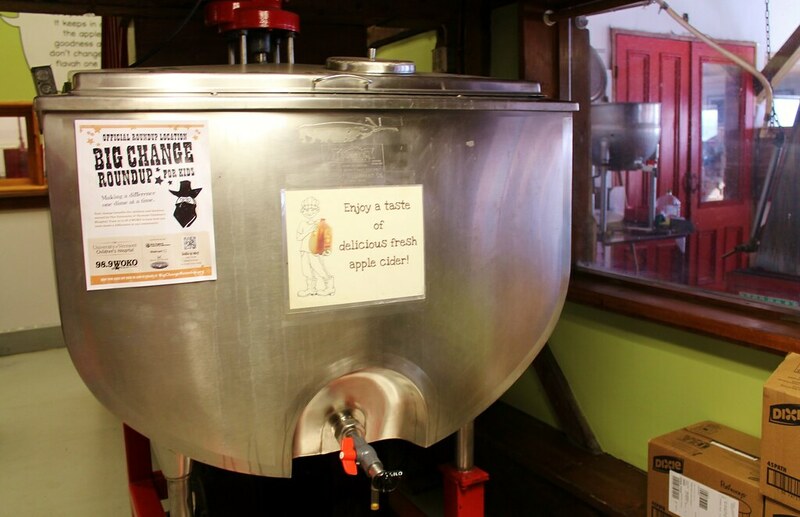 Once I surveyed everything that Cold Hollow Cider Mill had to offer, I grabbed a basket and in a matter of minutes made all my cider samplings worth their while. We left with a half dozen cider donuts, maple cream cookies (my absolute favorite), Vermont cinnamon raisin peanut butter, goat’s milk caramel, maple syrup, Bourbon barrel aged maple syrup, and maple sugar granules. In a separate building next door, their hard cider is sold and we ended up bringing a fancy jug of the stuff home. I left wishing for fall, even though we were currently experiencing winter weather that should have been made me crave summer.